The 1980’s was a time of excess and incredible music. 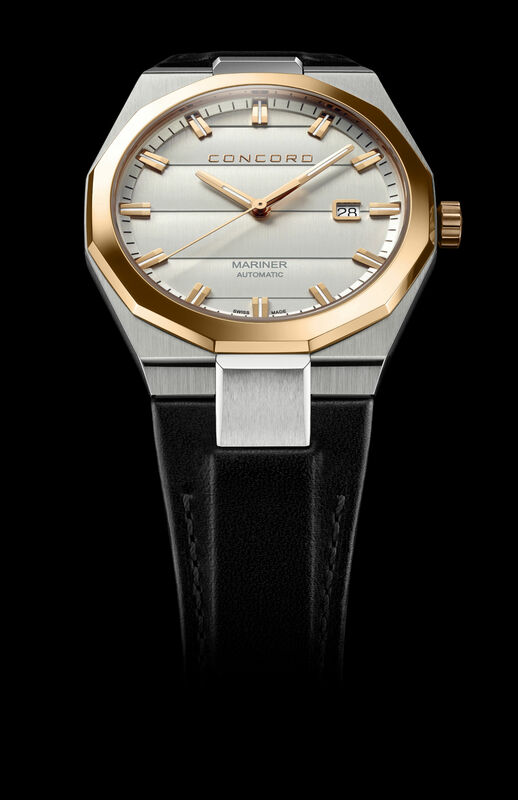 Off in the distance I can hear Tears For Fears’ “Head Over Heels” after learning about Concord Mariner’s re-launch of the brand’s iconic 1980’s collection at Baselworld 2014. 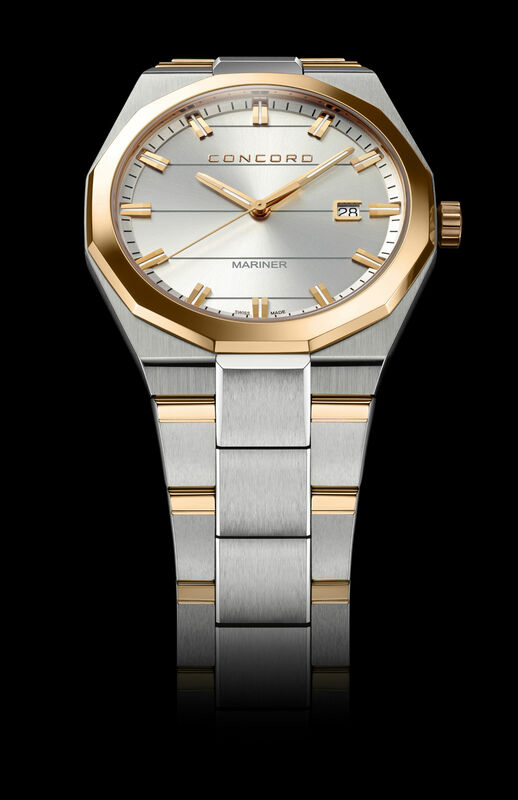 Concord now introduces new men’s and women’s stainless steel models accented by rose gold with diamonds, evoking the summer sun’s warm glow and the cool sparkle of azure seas. The clean lines of a silver-toned dial for him and luminous white mother-of-pearl dial for her seem to slide effortlessly into the supple, ergonomically designed stainless steel and rose gold-plated link bracelet, delivering Concord’s legendary style and comfort. The case-backs of the quartz pieces bear a distinctive wind-rose logo, a depiction of the graphic tool used by meteorologists to provide a succinct view of how wind speed and direction are distributed at a specific location. The wind-rose represents the Concord Mariner’s attitude of pointing men and women in the direction of the pleasures associated with marina life: time out filled with a wealth of relaxed moments and an enticingly adventurous spirit. The Mariner Gent and Lady models are equipped with ETA quartz movements featuring a 94-month battery life. The Gent Automatic model with open case-back is powered by a Sellita self-winding mechanical movement with 42-hour power reserve. An integrated black calf leather strap secures this streamlined seafarer’s choice to the wrist. And like all good sailors, the Mariner Lady, Gent and Gent Automatic are all water resistant to 50 metres. The perfect accessory for men and women with a 21st century attitude – sociable, carefree and fun-loving – these latest rose gold-infused additions to the new Concord Mariner Collection represent the essence of a chic, contemporary marina lifestyle combined with a warm, intimate sense of belonging. 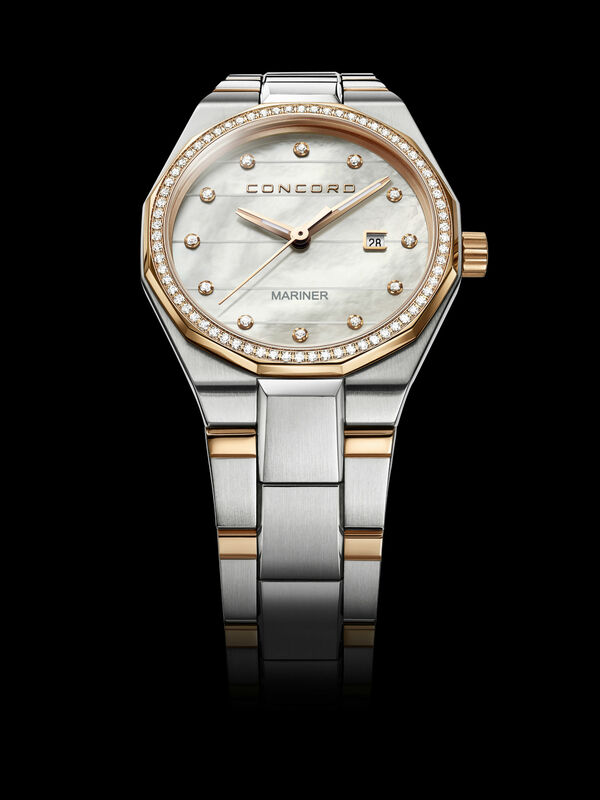 Concord was founded in Biel, Switzerland in 1908. The MGI Luxury Group acquired the traditional Swiss luxury brand in the early 1970s, and subsequently re-launched it as a dynamic, highly original niche brand for a new millennium. The brand has embraced the challenge of a bold repositioning strategy that transcends its already extraordinary horological achievements of the past.